Info: Created on 17th January 2016 . Last edited on 30th January 2016. You forgot to put the "Lovecomp" tag. Nevertheless, great font and sample. What a font! What a sample! I think your work really is workable, and I already see postcards made using this font. Maybe the heart in the middle of C makes C look like E though. This has a classic look, and a hint of ArtNouveau even though it isn't curvey. Congratulations! FontStruct Staff have deemed your FontStruction worthy of special mention. 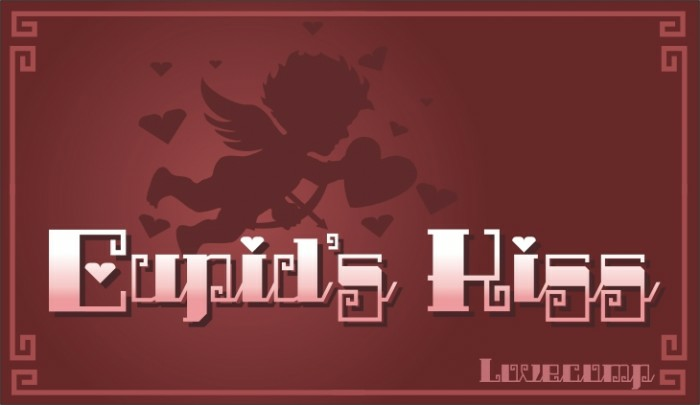 “Cupid's Kiss” is now a Top Pick.